Take the stress out of the big day with the help of a professional wedding planner. So you’re getting married. Exciting! And now you’re going to plan a wedding. Also incredibly exciting, but much more work than you think it’s going to be. Hiring a wedding planner may sound like a luxury, but after you factor in all of the time and money you’ll save with some expert assistance, it’s really a necessity. 1. A wedding planner will sweat the small stuff. While you’re doing all of the fun parts of planning the big day, like tasting wedding cakes and picking out bridesmaid dresses, a wedding planner will handle all of the unglamorous details. 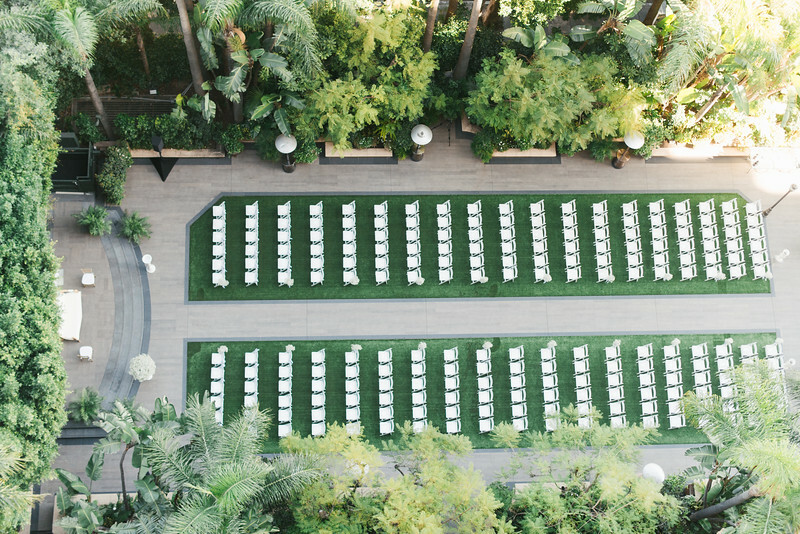 Not only will he or she take on difficult tasks like negotiating contracts with vendors, your planner will see to the hidden planning details, like making sure there are enough bathrooms at the venue for your guests (really!). 2. You’ll have help stretching your budget. Because your planner knows the market, he or she will know which vendors will get you the most for your money. An event planner also knows where you can economize without compromising your vision – do you really need 10 doves, or will four work just as well? – and where it’s worth it to spend a little more on small details that really make a difference. 3. A planner is your quality control. Even though your wedding is the only wedding you’re working on, the vendors you’re hiring are working on many events at the same time, with multiple clients. A wedding planner has vendors he or she knows and trusts to do great work, and will do vigilant follow-up to make sure your vision comes to life exactly the way you’ve dreamed it will. 4. You have a built-in wedding etiquette expert. Wondering what the right timing is for sending out save-the-dates, or whether a cocktail-length wedding dress is appropriate? Need help gently telling your mother that there won’t be a "Chicken Dance" at the reception? A wedding planner can offer advice on any sticky situation that comes up, from what to tip your limo driver to how to explain to your great aunt that while you love her lemon taffeta prom dress from 1952, you don’t want to wear it for your shower. 5. Your planner will save you as much stress as possible on the big day. Your wedding day should be all about you and your future spouse not about where you’re going to fit five people who didn’t RSVP and how to accommodate the vegan or gluten-free couple who didn’t tell you about their dietary restrictions in advance. A wedding planner will coordinate all of the pre-wedding details, but will also be your day-of coordinator, taking care of any little issues that come up so you can focus on the most important thing – getting married! For more wedding planning advice, click here to discover expert tips on an array of planning topics.